Stephanie Hoelbling of Clemson University and Ian Lake of Illinois Institute of Technology were awarded the 2015-2016 Health Physics Society Dade W. Moeller Scholarships for studies in radiation protection science. Both scholarships honor the memory of the late Dr. Dade W. Moeller, a scientist and educator in the fields of health physics and environmental health. Dade Moeller is pleased to share the announcement of the winners of the Health Physics Society’s 2015–2016 Dade W. Moeller Scholarship Awards for studies in health physics [radiation protection science]. The scholarships are made possible through the Dade Moeller Fund, which is independently managed by the Health Physics Society using funds bequeathed by Washington-based radiation protection and environmental services firm Dade Moeller. 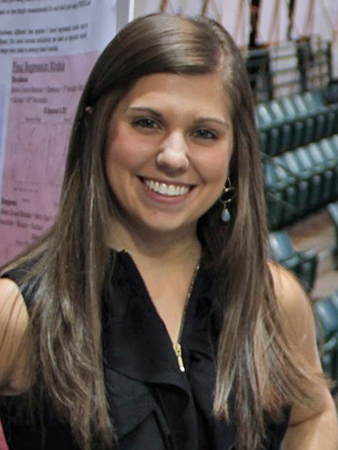 The 2015–2016 Dade W. Moeller Scholarship Award Memorializing Kelly Austin for studies in health physics will be awarded to Stephanie Hoelbling of Simpsonville, S.C. Hoelbling is a graduate student in the Environmental Health Physics program at Clemson University. Her current research focuses on the mechanisms of the competitive uptake of plutonium and iron in plants, along with the associated effects. 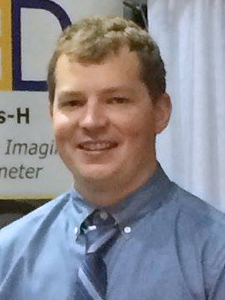 The 2015–2016 Dade W. Moeller Scholarship Award for studies in health physics has been awarded to Ian Lake of Chicago. Lake is pursuing his Professional Master’s of Science in Health Physics at Illinois Institute of Technology and is the founding president of the Health Physics Society student chapter there. He is employed full time at a Chicago area start-up consulting firm, working on commercial nuclear power plant projects. The scholarship awards will support the students’ upcoming academic expenditures, with a total of $3,500 to be distributed to each student’s academic advisor through two distributions in September 2015 and January 2016. The scholarships also provide up to an additional $1,500 to support each student’s travel expenses to attend the 2016 Health Physics Society meeting in Spokane, Wash., where they will be honored at an Awards Banquet. Both scholarships honor the memory of the late Dr. Dade W. Moeller, a scientist and educator in the fields of health physics and environmental health. The scholarship awarded to Hoelbling memorializes the late Dade Moeller employee and certified health physicist Kelly H. Austin. About Us: Dade Moeller provides professional and technical services to federal, state, and commercial clients in support of their radiation protection, industrial hygiene & safety, environmental, laboratory, analytical, and training needs.